Modernistic ® | Do I Really Need Scotchgard? GET A QUOTE OR SCHEDULE NOW! Save your quote and have it emailed to you! Safe and Secure, we never share your email! Have a saved quote or want to re-order? Do I Really Need Scotchgard? If you have ever had your carpets or upholstery professionally cleaned you’ve probably been asked if you wanted Scotchgard protection applied, right? You said yes because you care about the impression your facility leaves on your customers and employees. But do you know what it does and do you really need Scotchgard? We do, and we really think it’s worth its weight in gold. Scotchgard creates a protective barrier that helps repel liquids and blocks stains. It’s an odorless application that can be applied to any fabric material such carpet, upholstery, cubicle walls, and entry rugs, and it is best applied during a professional carpet cleaning. Because Scotchgard creates a protective barrier around the fibers of your carpet and upholstery, it makes cleaning stains and spills much, MUCH easier. Instead of the liquid instantly absorbing into the fibers, the Scotchgard barrier keeps it on the surface, so you can quickly and more effectively clean up the mess. It’s a huge benefit, but that’s just one of the reasons you need Scotchgard applied in your business. Vacuuming is more effective when your carpet and upholstery is protected by Scotchgard because its protective barrier keeps dry soil, like dirt and dust, on the surface instead of deep down in the fibers. This means that every vacuum pass is more effective because dirt and dry soil is on the surface and more easily sucked up. Without Scotchgard, these dirt particles would work their way into the fibers and cause unsightly wear patterns. Wear patterns, typically called traffic areas, occur when the fibers of the carpeting become damaged by dirt and soil. On a microscopic level, dirt is made up of very sharp particles. When these particles grind against the fibers of your carpet, it breaks down the individual woven fibers, leaving your carpet looking worn and faded. When Scotchgard is applied, it keeps the loose dirt and soil on the surface, making it more difficult for those sharp particles to grind up against the fibers and cause wear patterns. Fewer wear patterns means your carpet will last longer, look better, and save you the cost of frequently replacing your carpet. HOW OFTEN DO I NEED SCOTCHGARD? It all depends on how much you use your carpet or upholstery. If you have Scotchgard applied in an area such as a lobby, hallway, or conference room, it’s a good idea to have it reapplied during every professional carpet cleaning (or every 6 months, whichever comes first). If you have areas that don’t have as much foot traffic or usage, you may be able to go longer in between applications. 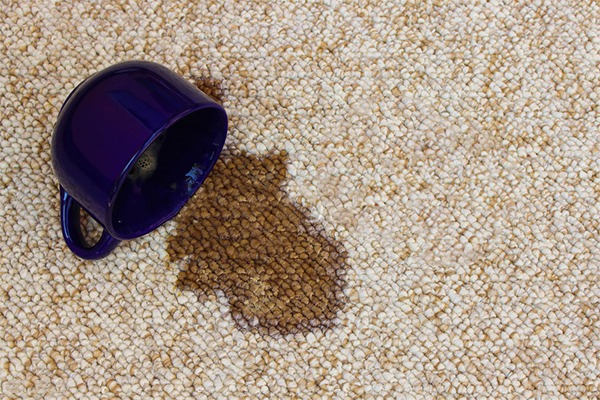 QUICK TIP: If you’ve recently had new carpet installed, check the manufacturer’s warranty. Believe it or not, some carpet and upholstery manufacturers require regular applications of Scotchgard in order to maintain the warranty. For over 45 years, Modernistic has been helping Michigan businesses enjoy a cleaner, healthier, more enjoyable work environment. Want to learn more about how we can help? Click here to contact your local Modernistic for a FREE cleaning quote!